Tarik i Lea, uczniowie Sri K Patthabi’ego Jois’a Z Mysore w Indiach, przyjeżdzają do Wrocławia, by dzielić się wiedzą z polskimi joginami. Obydwoje mają za sobą ponad 16 lat doświadczenia w codziennej praktyce oraz w nauczaniu metody Ashtanga Jogi. 12,00–14,00 Nauka Pranajamy, Pytania i odpowiedzi , konferencja zamykająca. Potwierdzeniem jest wpłata bezzwrotnej zaliczki w wysokości 50 % ceny warsztatu, po uprzednim zgłoszeniu mailowym. Tarik and Lea, direct students of Sri K Pattabhi Jois and Sharath Jois, of Mysore India, are coming to Wroclaw to teach an Ashtanga Yoga. 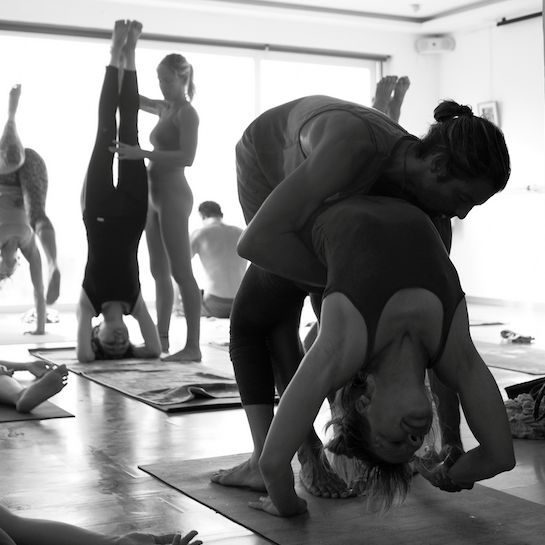 Tarik and Lea have more than 16 years of daily Ashtanga Yoga practice and teaching to share with the Polish Yoga community. 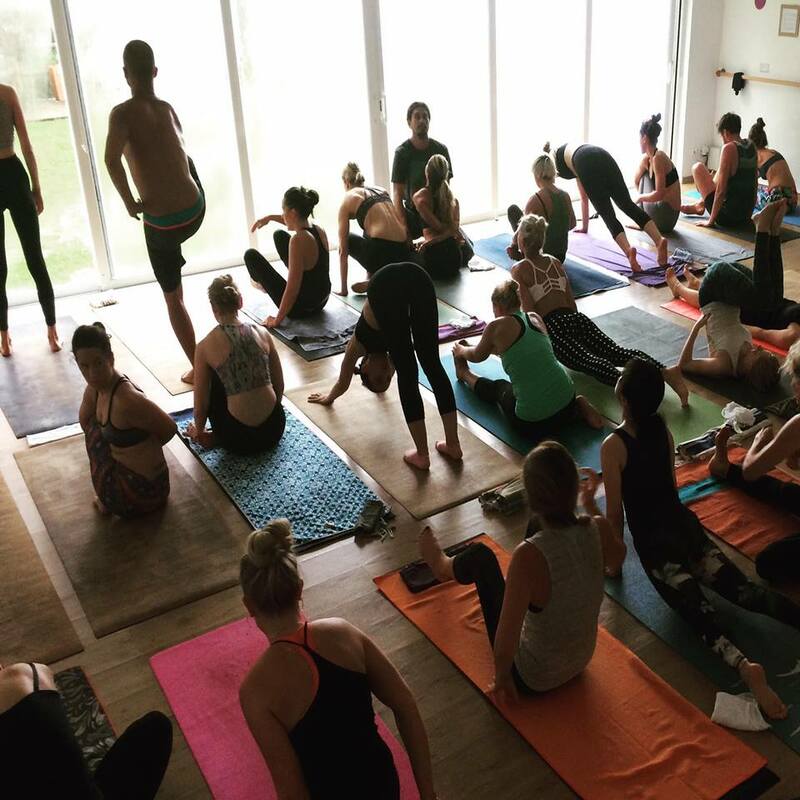 Native of Upstate NY, Lea began Ashtanga Yoga in 2001. She made her first trip to Mysore in 2003, and returned to Mysore 4 times more to practice under the guidance of Guruji and Sharath. She is graduate of Syracuse University, with diplomas in Biology and Women´s Studies. 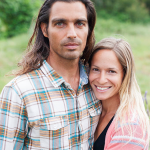 She is a practicing astrologer, a surfer, and believer that the closer you live to nature, the greater your well being. 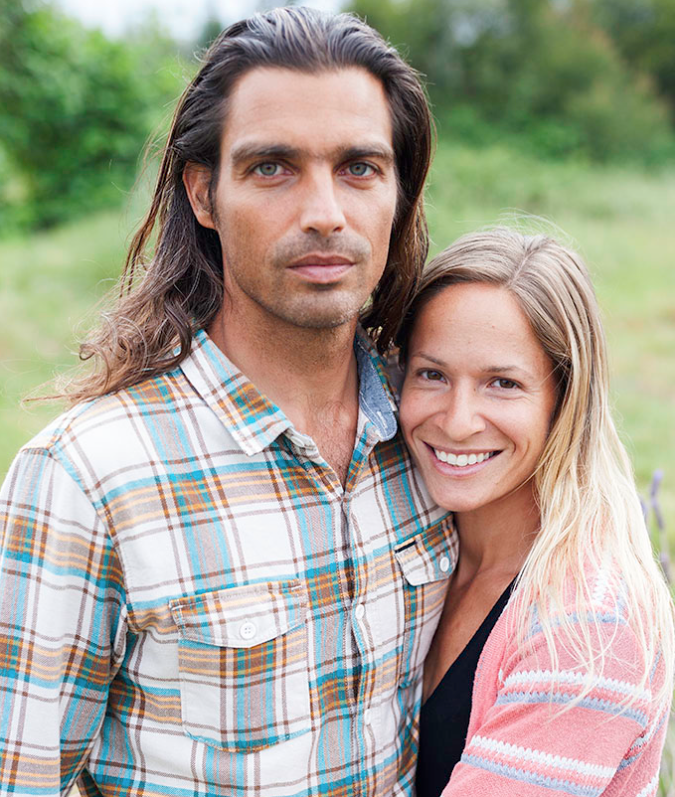 Lea and her husband Tarik live in SW Portugal with their 4 children, where they run Yoga, Surf & Sun together. 1,00-3,00 pm Traditional Sanskrit Counted Led Class, followed by led relaxation. 12:00 – 2:00 pm Conference, Question and Answer. Pranayama & closing conference.